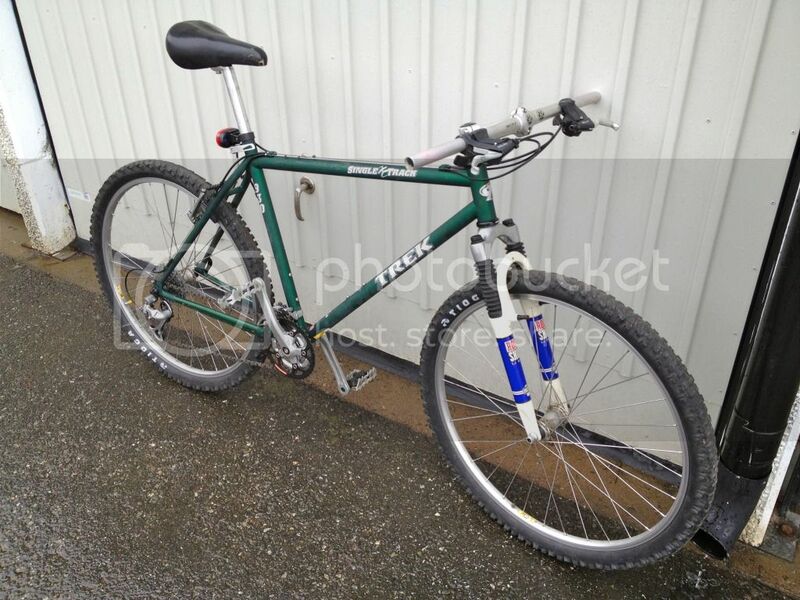 Here at last I´m building up my first mtb again, a Trek 930. In all honesty I´m setting it up for my brother-in-law. So I´ll use mostly the original components, with some nice stuff that I have lying around. I´ll set-up a list in time, but for now I´ll just put up some pics. 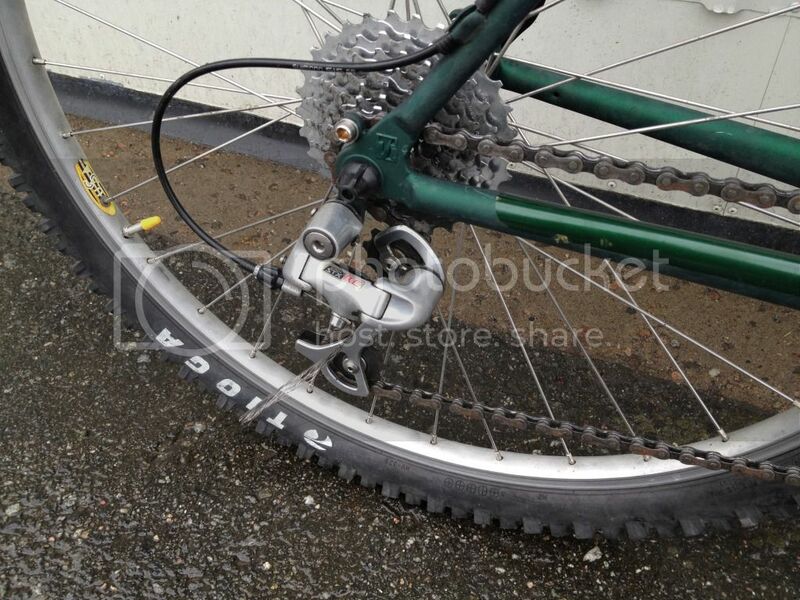 Here´s a pic to see how it would look with wheels again. Today I only had time to take a pic when I´d picked it up. 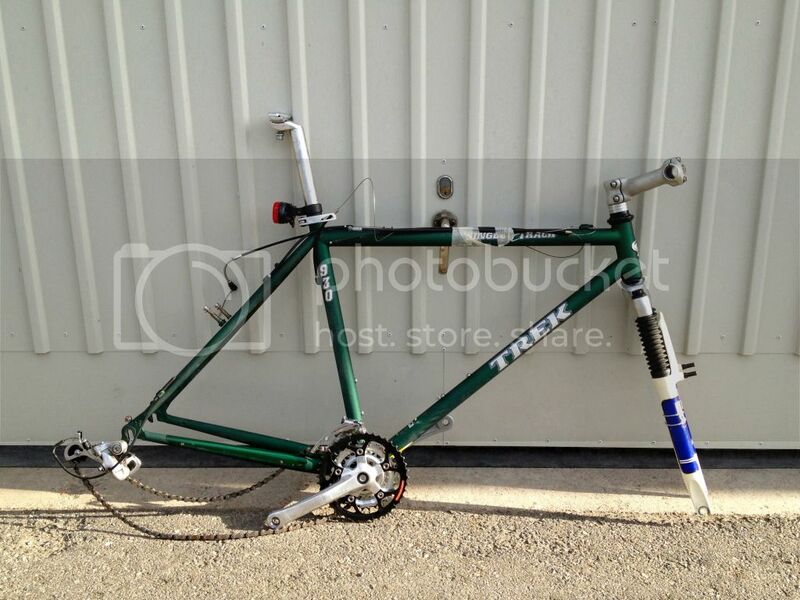 I already think this will look and ride pretty good. Was there ever a spring option for the RS Indy forks? Time to go, see more progress tomorrow! is that really as late as 97? i thought they were doing the matt/frosted paint in 95ish. really like that paint finish. Yep, it´s a ´97. 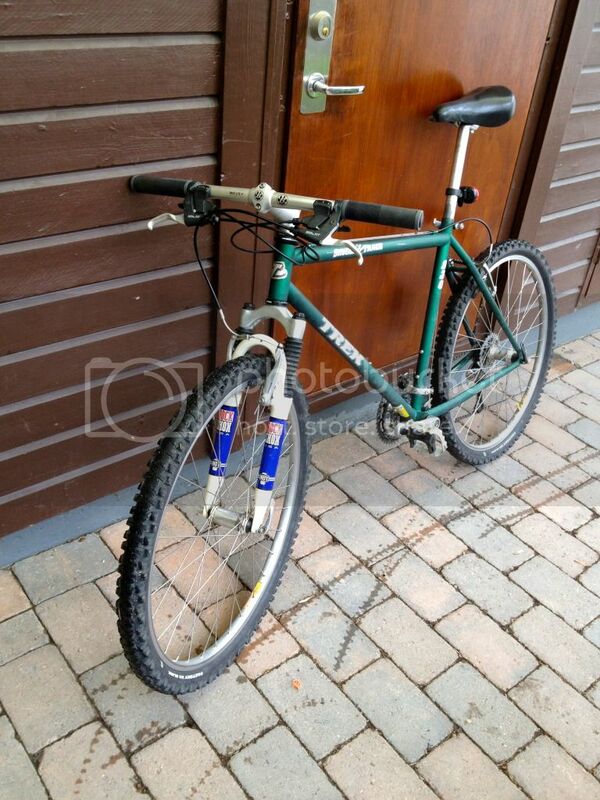 I think the giveaway is the trek-logo that changed for ´97. Yes, it´s a frosted surface. It´s a really cool paintjob. Everything is kosher, except the saddle. 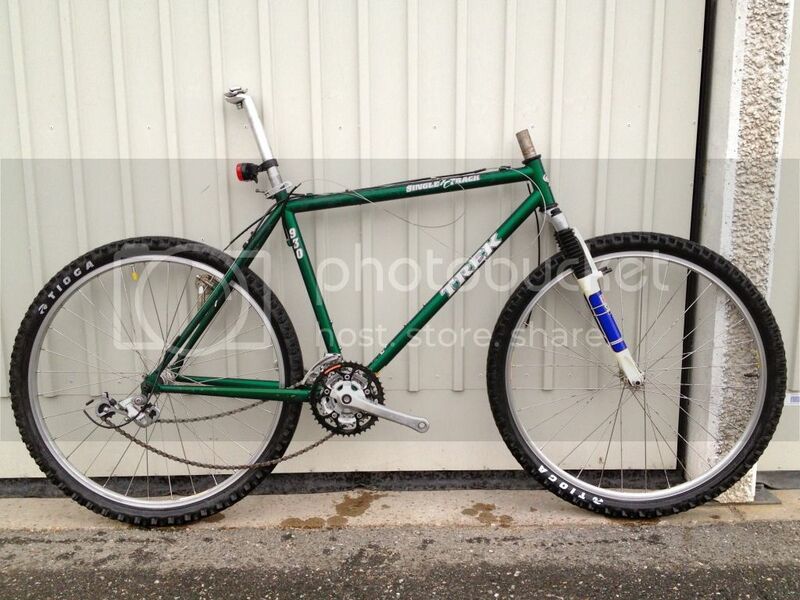 is there a original spec of trek 930 single track? tq.